Part of the TBM used to dig the underground section of the Crenshaw/LAX Line. Photo by Juan Ocampo for Metro. The Los Angeles County Metropolitan Transportation Authority (Metro) today celebrated the end of tunnel excavation for the Crenshaw/LAX Transit Project. Harriet, the tunnel boring machine (TBM), completed digging the second of the twin tunnels for the light rail line on April 6. 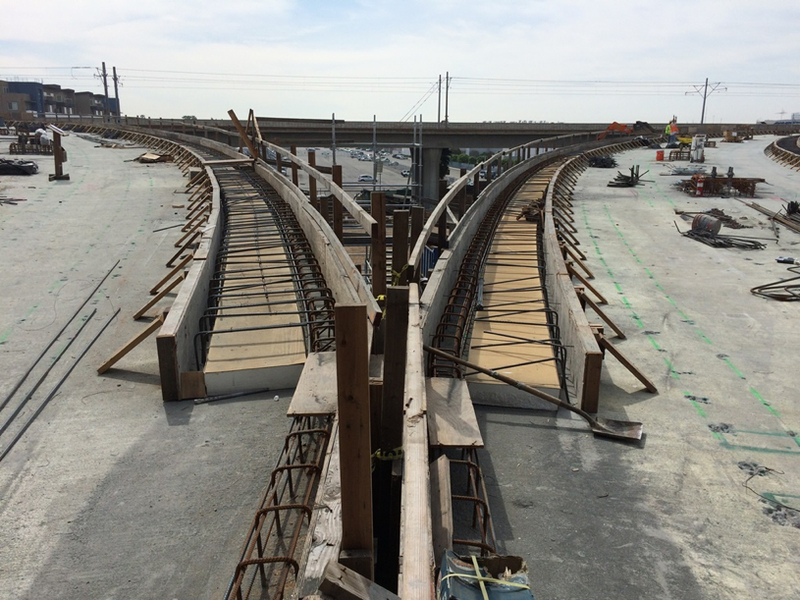 Harriet began excavating the first of the two rail tunnels under Crenshaw Boulevard on April 26, 2016. The TBM arrived at Leimert Park Station on October 20. 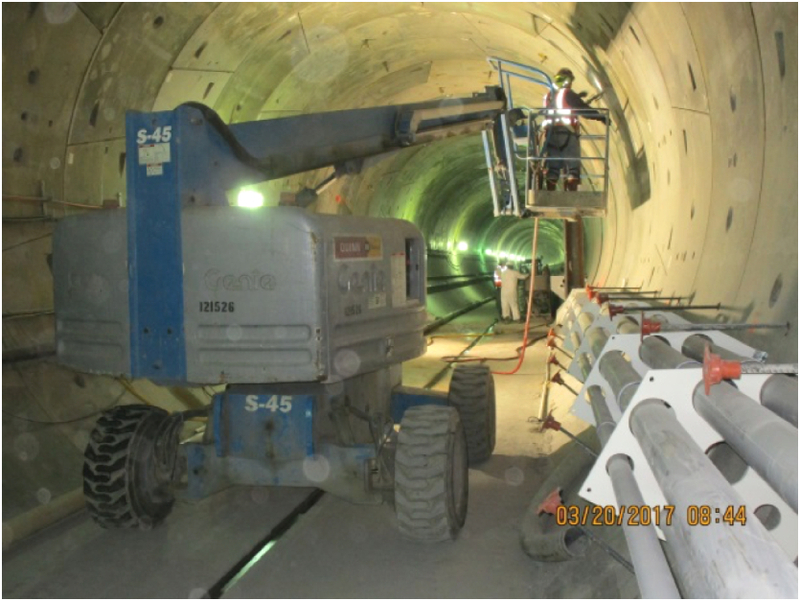 Excavation of the second tunnel began on November 29 and was completed April 6. 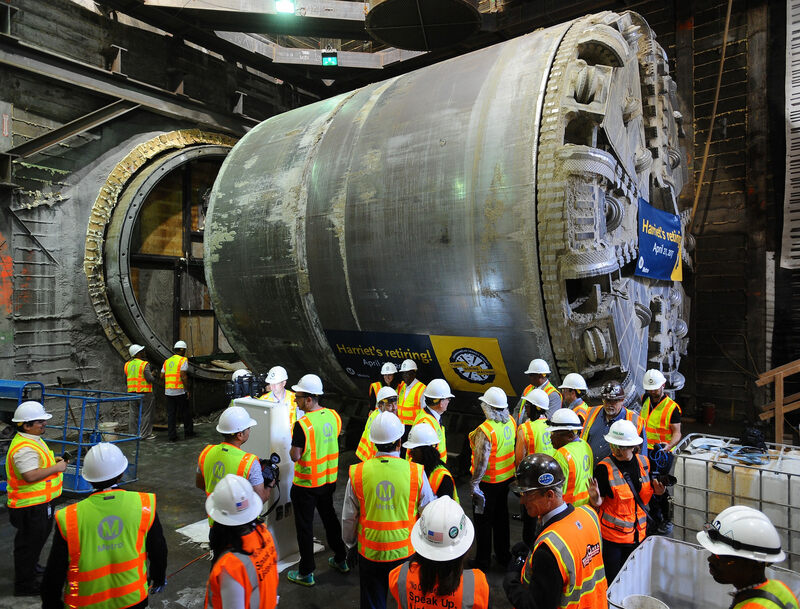 The 950-ton, 400-foot-long TBM advanced an average of 60 feet a day through soil and rock under Crenshaw Boulevard. 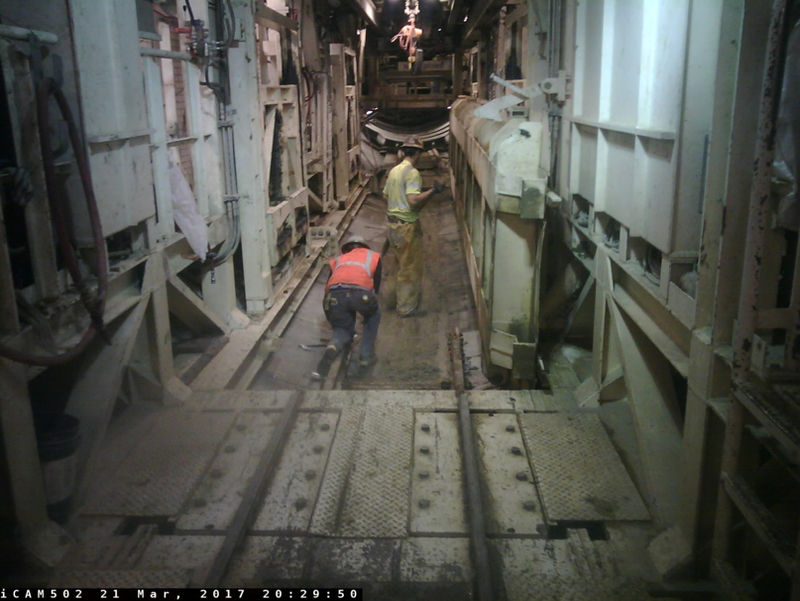 Installation of rail tracks has begun in the southbound tunnel. The one-mile tunnels connect the project’s three underground stations: Expo/Crenshaw, Martin Luther King Jr. and Leimert Park. The $2.058-billion Crenshaw/LAX Line include eight new stations: Crenshaw/Expo, Martin Luther King Jr., Leimert Park, Hyde Park, Fairview Heights, Downtown Inglewood, Westchester/Veterans and Aviation/Century. The TBM was named after Harriet Tubman, the famous African-American abolitionist and humanitarian who helped slaves escape the South using a network of safe houses known as the Underground Railroad. A ninth station — to be built separate from this project — will be located at Aviation Boulevard and 96th Street and will be the transfer point between Metro Rail and an automated people mover that will serve the LAX terminals. Los Angeles World Airports is building the people mover and has targeted a 2023 completion date. 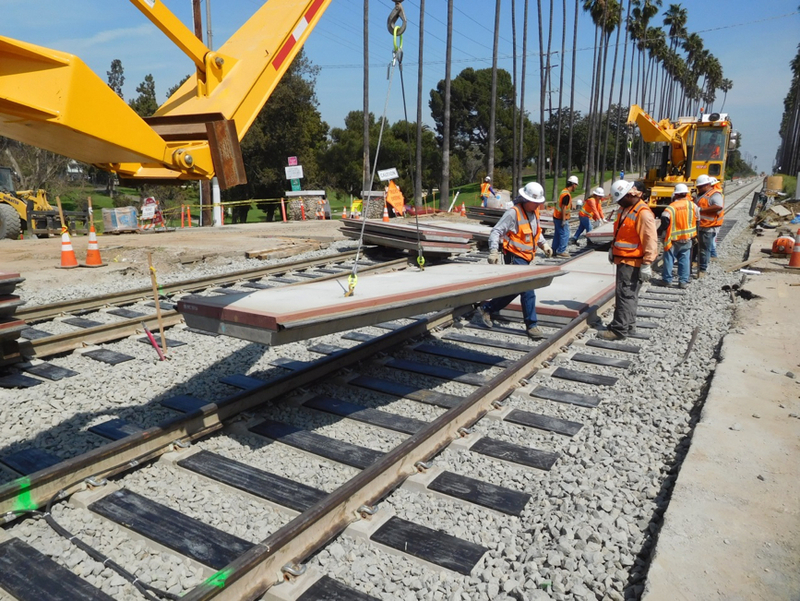 Installation of intersection crossing panels at the intersection of Florence and Centinela. Photos by J. Isaí Rosa/Metro. 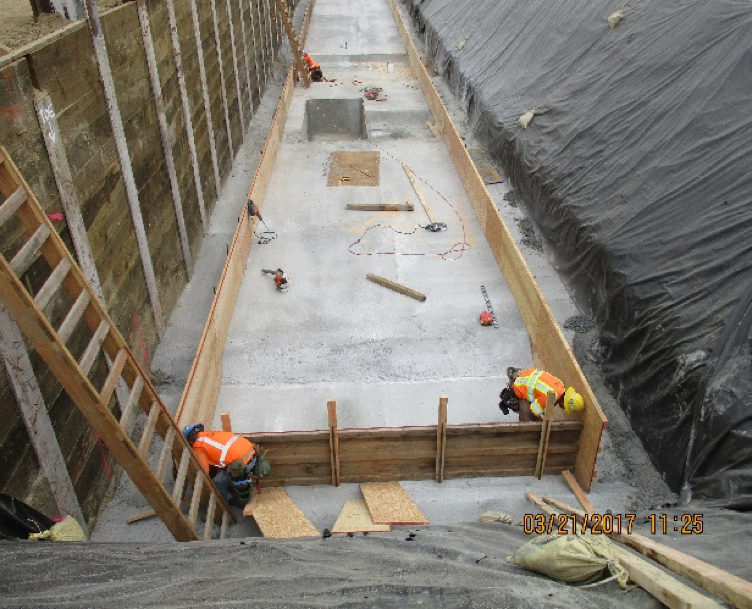 Installation of protection formwork and lower walls at the tunnel portal along Crenshaw Boulevard south of Slauson Avenue. Core drilling and probe drilling for the creation of cross Passages. Cross passages are emergency exits that connect the two separated tunnels. Tunneling is advancing with track placement. The structure that will carry tracks up to the junction of the Green Line. 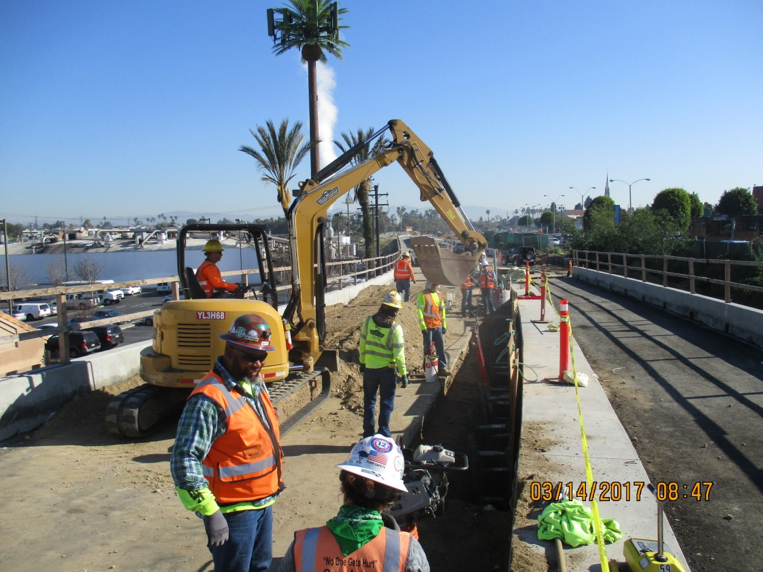 Construction activities on La Brea Bridge along Florence Avenue. 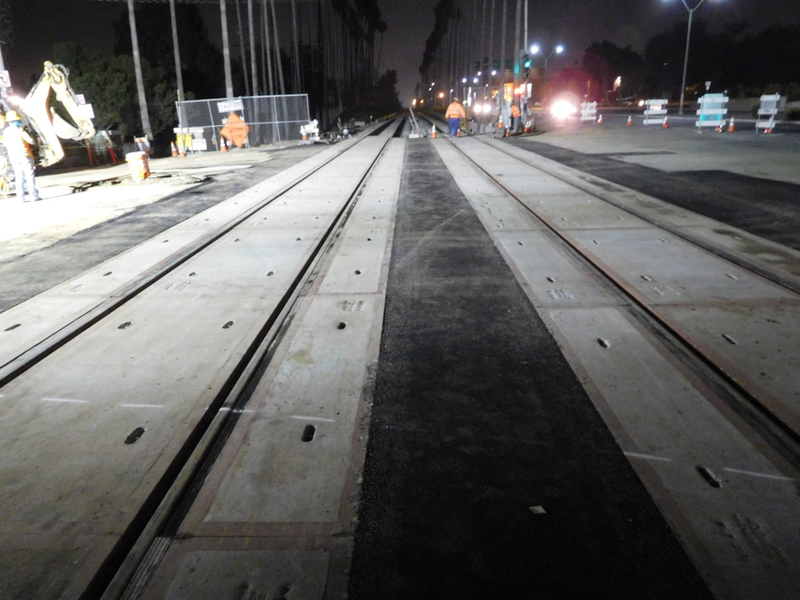 Completion of track placement and paving at the intersection of Florence and Centinela. I checked out the photos on Metro’s Flickr page and they are great! (Except for the photo-op pictures of politicians.) What a nice gesture to have a “retirement celebration” for Harriet, the Tunnel Boring Machine. Job well done! What happens to a TBM when it’s retired? Refurb to be used elsewhere? Return to the factory to be recycled into a new machine? Scrap? I wonder how much money the MTA has wasted buying new tunneling machines for each project they undertake? Probably no more than any other tunnel boring machine consumer on Earth. I haven’t seen a cost break-down for the Crenshaw/LAX line, but Harriet can’t possibly have been more expensive than Bertha up in Seattle. That TBM cost $80 million (and that’s before she was resold for recycling). So Harriet probably accounts for significantly less than 4% of the total cost of the project. Bertha is a good reason why TBMs are rarely reused: it cost nearly twice as much to repair Bertha after the TBM broke down than it did to buy the machine in the first place ($140 million vs. $80 million), and the costs associated with the delay cost more than $220 million. Considering the fact that TBMs are tailor-made not just for the dimensions of a particular tunnel but also for the soil conditions that it needs to drill through, there’s a good chance that a tunnel boring machine would break down if it was reused in a different location. These machines significantly reduce tunneling costs and they do a truly massive amount of work during their short lifespans. After the tunneling is complete, much of the machine is actually recycled or refurbished: some parts of Harriet will be reused for other projects. Anything that can’t be reused will be recycled. THIS truly isn’t were transit operators waste money! !